In honor of the Scandinavian Reading Challenge below, I'm doing a giveaway of a fantastic new crime thriller by a Scandinavian author, Henning Mankell. The title of the hardcover is THE MAN FROM BEIJING and it's a wild ride. 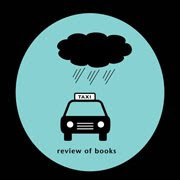 To read the review, you can click on the link on the left column under "previously reviewed books". This giveaway is to encourage visitors to join the Scandinavian Readers Challenge (scroll down for details). If you join the Scandinavian Reading Challenge, you get an extra entry (total 2). If you leave a comment in the comment box with your favorite Scandinavian author or title, you get an extra 2 entries. I anticipate alot of interest as this title is hot right now. Email me if you have any questions. Ones who have already signed up for the Challenge are already entered in the giveaway. On April 7, 2010, a random generator will select a winner. Additionally, another Scandinavian title will be offered as a giveaway next week, so stay tuned! I hope this isn't too complicated! I'm a follower and am interested in winning this book! My favorite Scandinavian writer is Stieg Larsson among others. I would love to win this book..and am a Follower. Scandinavian author?....Sigrid Undset's KRISTIN LAVRANSDATTER....which I read at a very young age...Historical Soap Opera (with Class)..and Stieg Larsson...with whom I have only recently become acquainted...GIRL WITH THE DRAGON TATTOO. Amy I wish I could commit to the Scandinavian challenge but I have trouble managing my study commitments let alone trust myself to read any specific books. I will be following with a great deal of interest though, as I have been looking to read more Scandinavian authors, so I will be keeping a list of recommended authors and titles. I have really enjoyed reading Mankell in the past and I still have The girl with the Dragon Tattoo on the shelf, really must read that one soon. -My favourite Scandinavian author is Isak Dinesen (Karen Blixen). This isn't about books, except to say that I think Tom and Cookie had too long a day at the library; they're exhausted from lugging home all of the books they committed to read for the Scandinavian Challenge.